Last Sunday I ran the fifth Ealing Half Marathon in London. It was my first time running the Ealing marathon, which only started after I moved away from Ealing to São Paulo. I had been training all over the place in September and my travel schedule was a bit crazy just before the race. Leading up to September 25th (race day) I was training in Serra Negra (São Paulo), São Paulo itself, Oxford, Montreal, New York City, and London. Even though I had quite a few flights this month, I still managed to get up and go out for a run each day. One day when I was travelling from Oxford to Montreal that meant taking a run at 5am in Oxford then catching a 7am train to the airport and being in Montreal by 5pm that same evening. The Ealing race was really well organised. The race day team were excellent and there was no stress collecting my race number or dropping my bag off at the start. The weather was perfect too. It had been raining early in the morning, but had cleared up for the race start at 9am. It was a little chilly, but dry, so it was perfect for a long race. I started the race intending to aim for a 1:45 time, but I found myself soon following the 1:40 pacers and finding that the pace was OK. I decided to stick with them as I was not having any trouble. There are a few long gentle hills in the race, but the pacers were excellent. Not only did they let us know when the hills would end, they got the crowd excited as we passed by. Once I was 3-4km from the end and I knew that I could finish even if I put in more effort, I started running faster than the pacers. Eventually I completed the race in 1:38:21, which is my best half marathon time. It’s a great location and a great race and really well organised. I know that I live far away, but as the 2017 race is on my birthday I might have to find an excuse to be back in London for that one! I’ve always liked running, but I’m prone to the same problem as everyone – I run out of time. If I don’t do it first thing in the morning then I feel too tired by the evening and it doesn’t happen. Then, once you are out of the habit it can feel really tough just to put on the trainers and do 5km. But I’ve been making more of an effort to seriously get out and run most days. 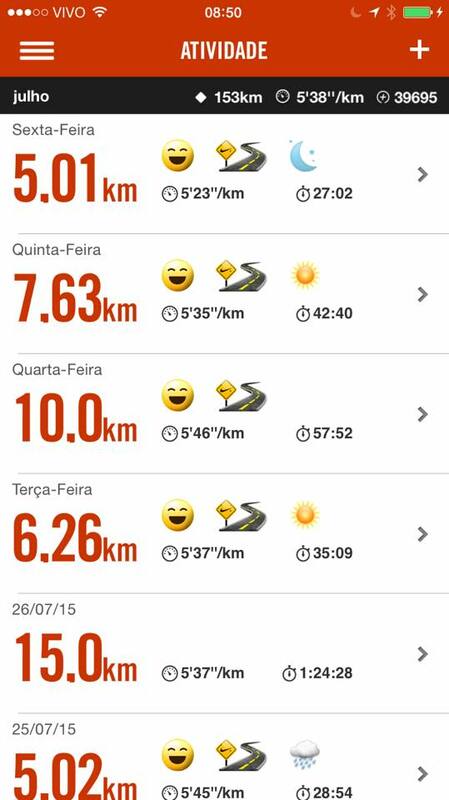 As you can see on my Nike+ app, I managed to run 153km in July – that’s getting close to four marathons in one month. It’s great to be back out on the streets more regularly – I don’t go to a gym – but I’ve also found a spin-off benefit. I’m listening to loads of audio-books while I’m running and I usually then leave the book running while I go home and get ready to do something else. 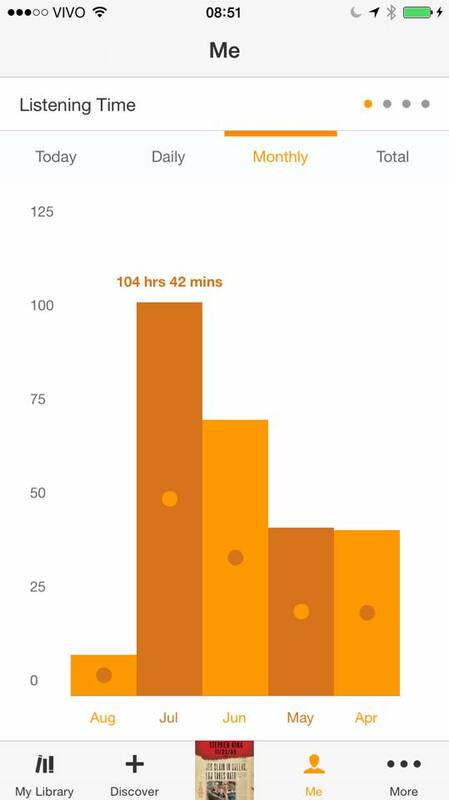 As you can see, I’m a regular listener anyway, but the push to run most days has boosted my book time. I totaled over 104 hours listening to books in July – mostly political biographies, but now I just started on Stephen King’s fictional story set around the JFK assassination 11/22/63. It’s a great outcome that I’ve managed to get through so many books by using this time to listen to books rather than music. I know some people prefer music as it’s more motivational – Spotify can even play music where the beat reflects the speed you are running at – but I like to switch off and get into a book.